Over the past 50 years researchers, clinicians, professional organizations, and health charities have waged war on sugar, calling for dietary recommendations to be changed and for a sugar tax on soft drinks and sweet treats in an effort to reduce obesity and cardiovascular diseases. In 2014, the WHO recommended that adults and children reduce their daily intake of free sugars to less than ten percent of their total energy intake. But could the war on sugar be bad for your health? Experts present the arguments both for and against sugar in this hotly contested debate on the “Sugar Wars” published in Progress in Cardiovascular Diseases. Biological life depends on sugar in its many forms, for example, sugars and sugar-polymers are major nutritive constituents of many foods and beverages including breast milk, dairy products, fruit, fruit juices, honey, sucrose (i.e., table sugar; a disaccharide of glucose, and fructose), sugar-sweetened beverages, rice, beans, potatoes, wheat, corn, quinoa, and other cereal grains. Sugars and sugar-polymers have played critical roles in both human evolution and dietary history and were the major sources of nutrient-energy (calories) for most of the global population throughout human history. “Diet-centric” researchers often ignore the fact that physical activity, not diet, is the major modifiable determinant of metabolic health. The consumption of dietary sugars up to 80 percent of total energy intake is entirely innocuous in active populations. There is strong, positive association between sugar availability/consumption and health. 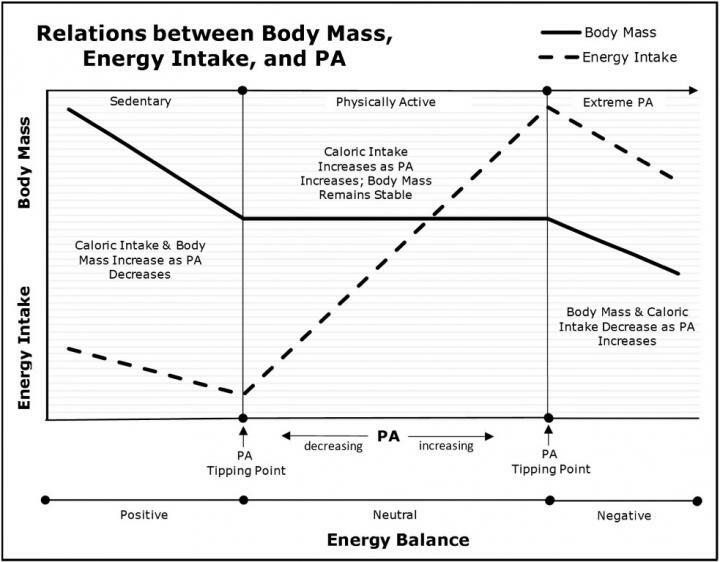 Obesity and type 2 diabetes mellitus are not diet-related diseases but are metabolic conditions caused by the positive energy balance (i.e., over-nutrition) driven by physical inactivity in past and current generations. In a Letter to the Editor, James J. DiNicolantonio, PharmD, and James H. O’Keefe, MD, of the Department of Preventive Cardiology, Saint Luke’s Mid America Heart Institute, Kansas City, MI, USA, provide strong criticisms to Dr. Archer’s positions by arguing that dietary sugar (either glucose, sucrose, or high-fructose corn syrup) is not necessary for life, and that humans did not consume refined sucrose or high fructose corn syrup throughout most of their evolution. In an accompanying Editorial, Carl J. “Chip” Lavie, MD, FACC, FACP, FCCP, of the Ochsner Clinical School, The University of Queensland School of Medicine, New Orleans, LA, USA, and Editor of Progress in Cardiovascular Diseases, states his personal belief that the ill effects of sugar have been over-emphasized by scientists and, especially, by the media. “Most sedentary people who are gaining weight and/or have high glucose and/or triglycerides should limit their carbohydrates and, especially, simple sugars, but for lean physically active individuals without these characteristics, sugars and carbohydrates are not toxic and, in fact, are probably helpful.” Dr. Lavie, however, feels it is important to have the scientists discuss opposing viewpoints in the journal. “In Defense of Sugar: A Critique of Diet-Centrism,” by Edward Archer (https://doi.org/10.1016/j.pcad.2018.04.007). It appears in volume 61, issue 1 (May-June 2018). “Sugar Wars-Commentary From the Editor,” by Carl J. Lavie, (https://doi.org/10.1016/j.pcad.2018.07.007). It will appear in volume 61, issue 3 (September/October 2018). “Letter to the Editor – In Critique of ‘In Defense of Sugar’: The Nuance of Whole Foods,” by James J. DiNicolantonio and James H. O’Keefe (https://doi.org/10.1016/j.pcad.2018.07.006). It will appear in volume 61, issue 3 (September/October 2018). “Response to the Letter to the Editor by author of review – The Demonization of ‘Diet’ Is Nothing New,” by Edward Archer (https://doi.org/10.1016/j.pcad.2018.07.013). It will appear in volume 61, issue 3 (September/October 2018). Full text of the articles is available to journalists upon request. To obtain copies contact Jonathan Davis, Communications Officer, Elsevier, at +31 20 485 2719 or [email protected] Journalists wishing to set up interviews with the authors should also contact Jonathan Davis.